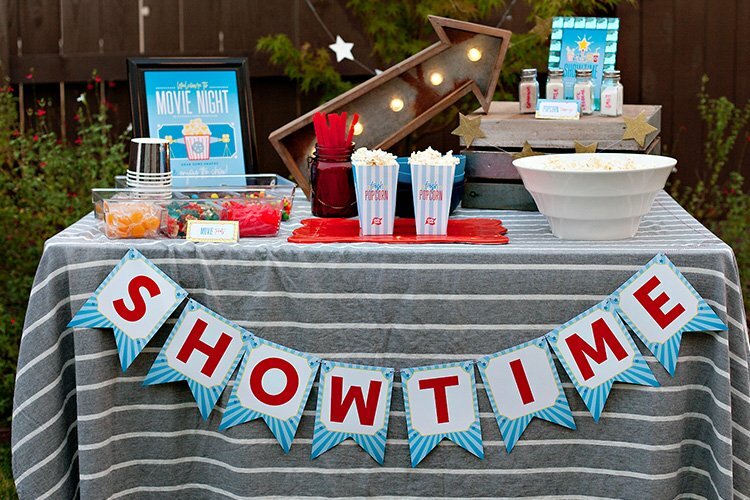 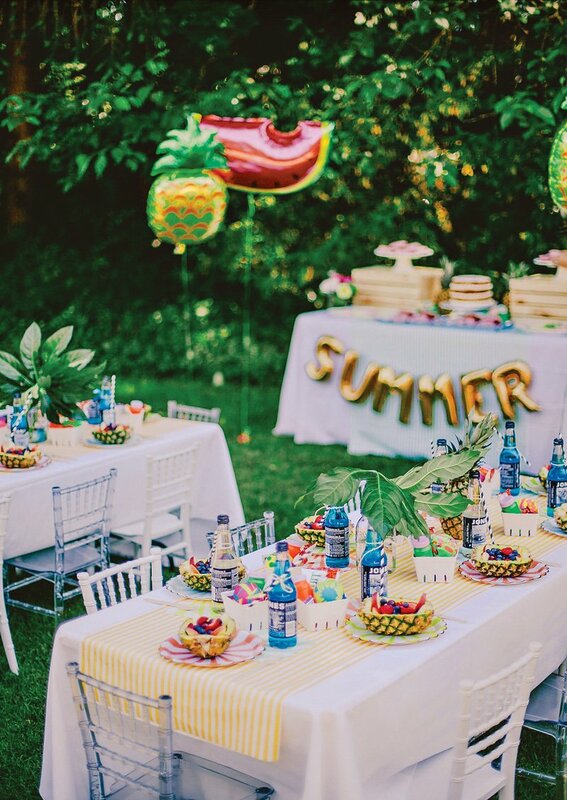 Whether you’re at the beginning of the season or nearing the end, nothing says SUMMER like a party with balloons, fruits and a *refreshingly* cute dessert table! 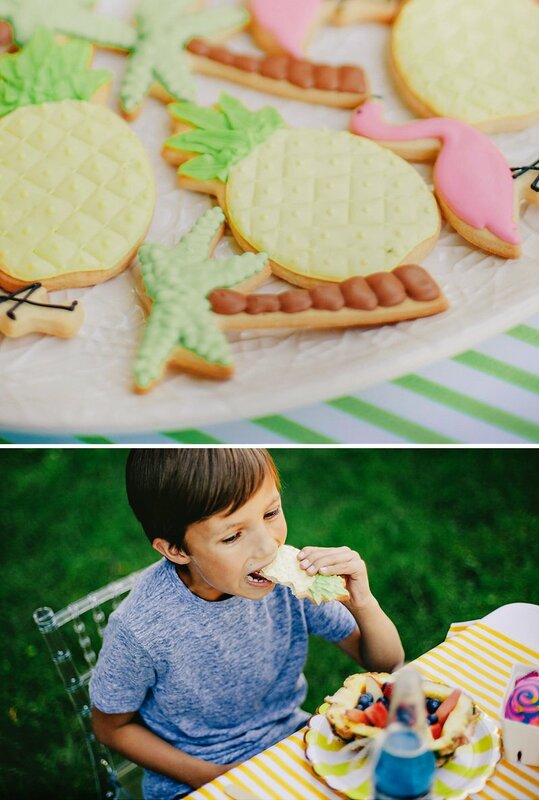 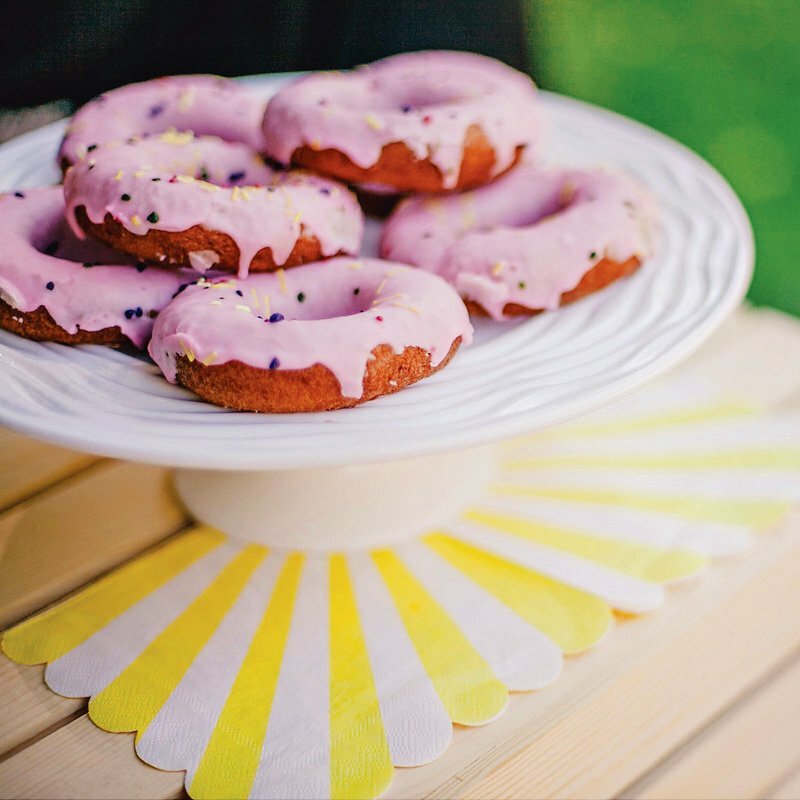 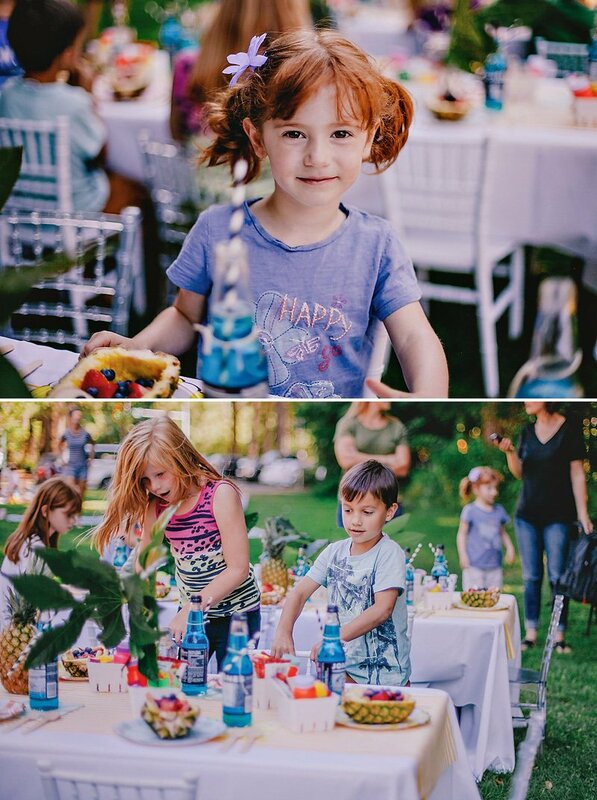 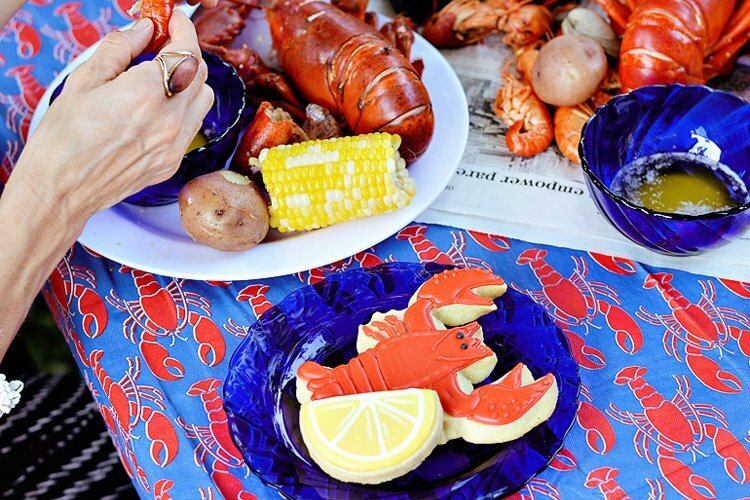 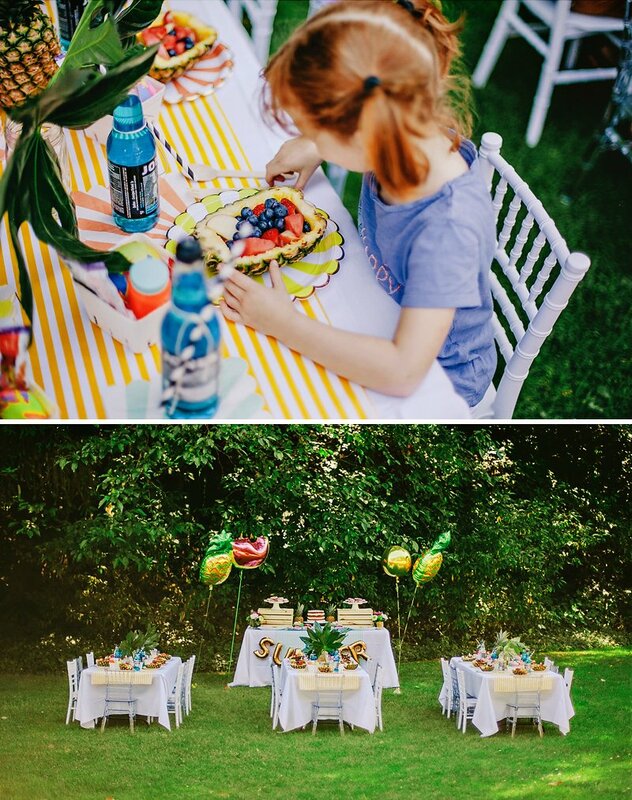 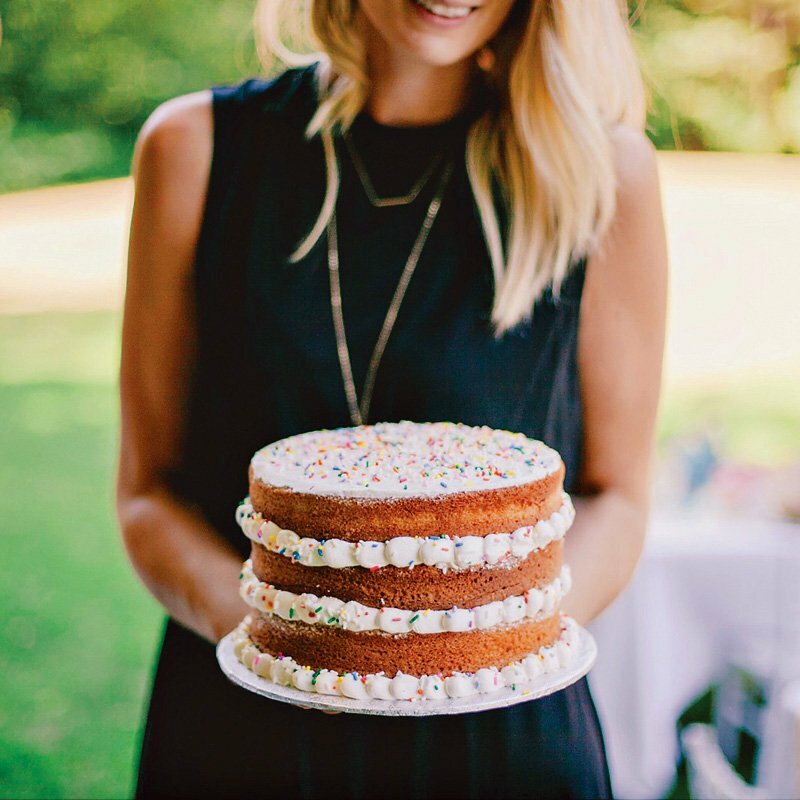 Speaking of which, Natalie Grant of BOOMBALOO & Cindy Dueck of Confetti & Sparkle Party Shop dreamed up this chic & colorful, pineapple-bedecked SUMMER Kids Party this year, which was beautifully captured by Kristel Danielle. 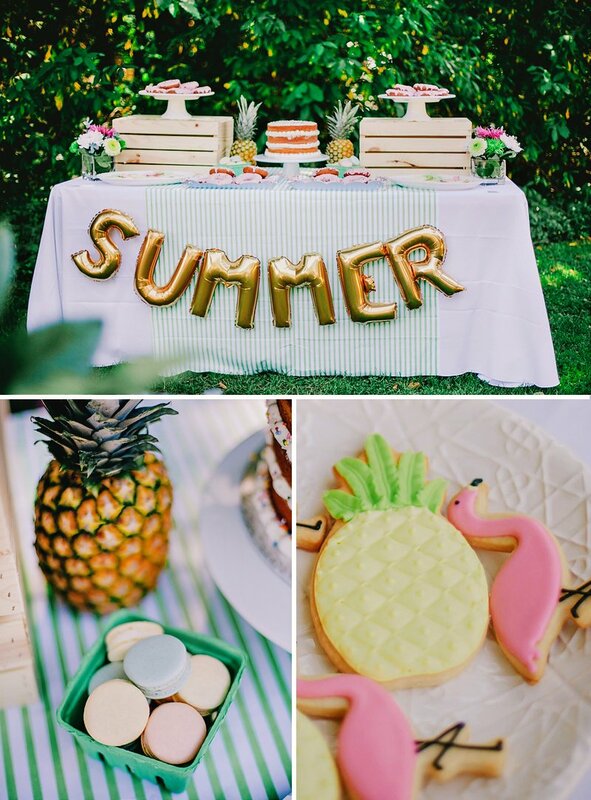 The team mixed yellow and white stripe table runners with flamingo cookies, fruit balloons (Cindy has so many different cute balloons in her shop, like this one and this one.) 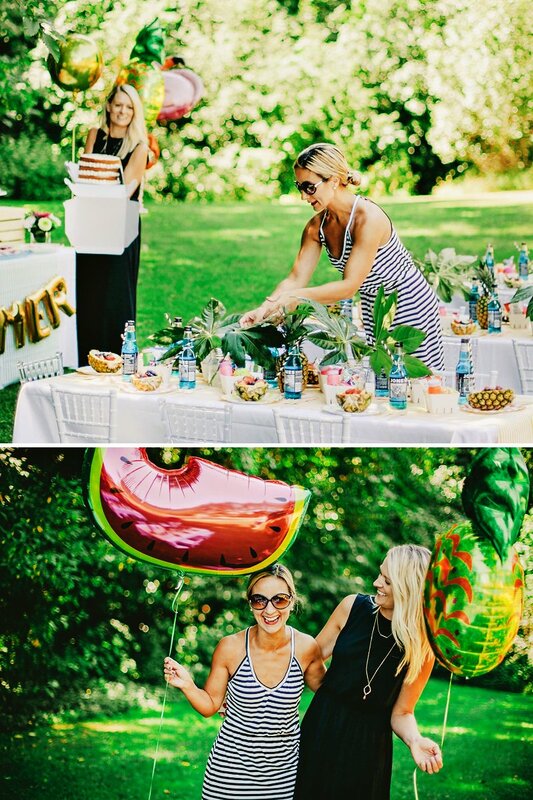 and more on-trend party inspiration that makes me wish summer weather and style would stick around all year long! 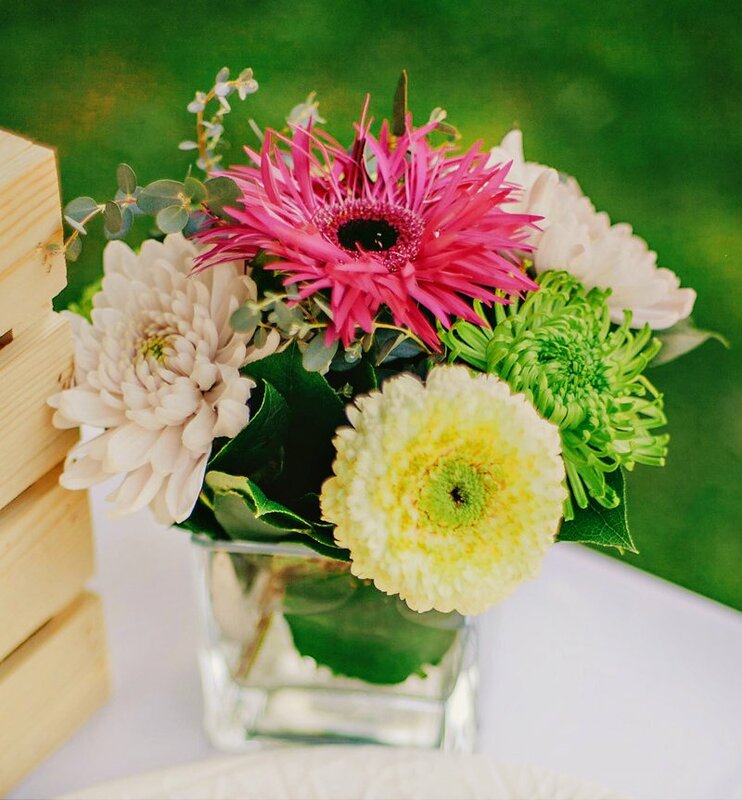 If you ever have the chance to work with the very talented Cindy from Confetti & Sparkle well you know what I am talking about – and if not, you are in for a real “treat”! 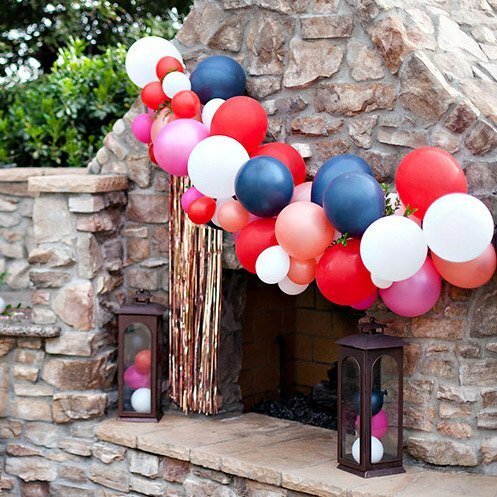 I wanted to throw an amazing “Beginning of Summer” party and the first person that came to mind to do this with was Cindy. 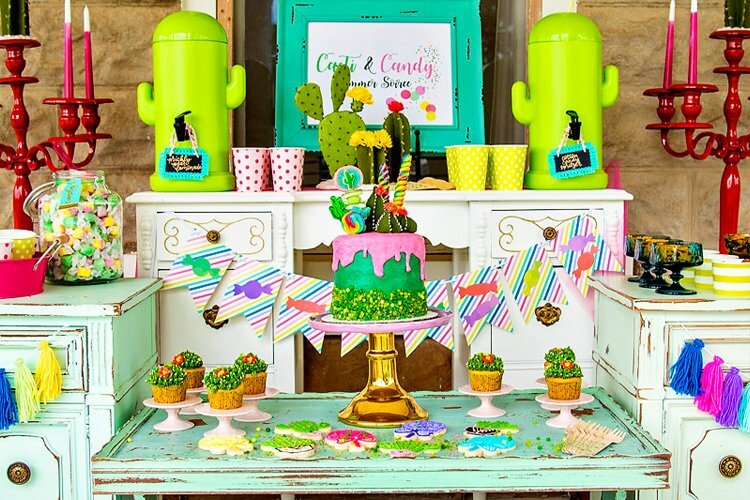 Her shop is filled with amazing party decor… in fact at times it was hard to keep focused on our theme as she has so many products to choose from! 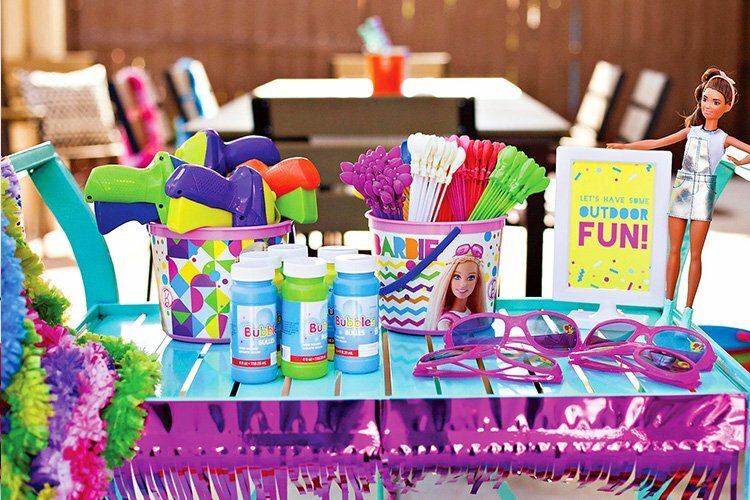 After many emails, texts, phone calls and more texts we came up with the perfect party Summer Party. 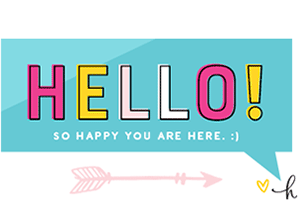 We hope you LOVE what we came up with as much as we do! 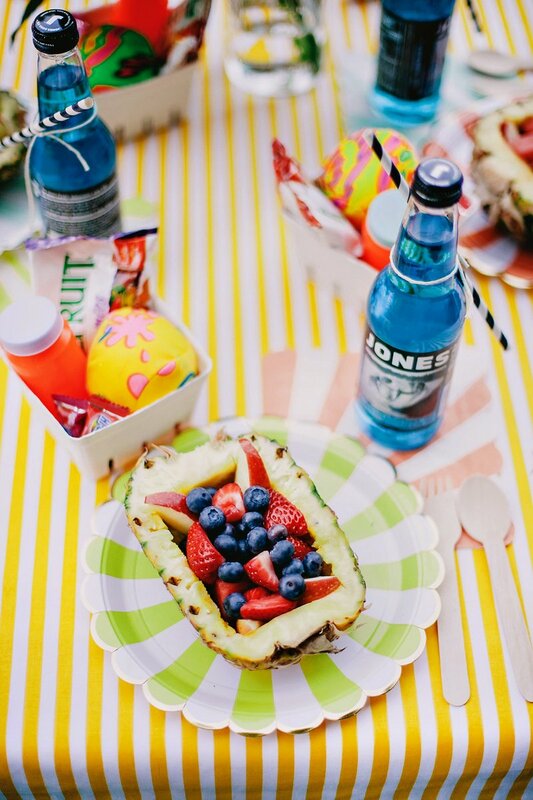 – Soda – Jones Soda Co.